1. Speak Auto-text must be turned on in Accessibility settings under Vision. 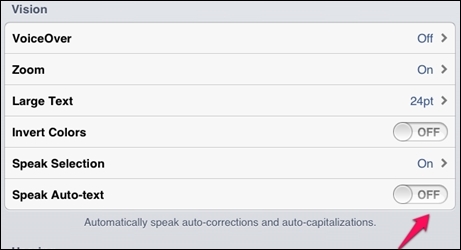 This feature enables the user to hear any words that are automatically corrected or capitalized and avoid errors. 2. In this instance, the user would hear the correction and avoid entering the name Ian when the desired word was isn't.